throw back thursday. to that time when we look sixteen. oh wait we were sixteen! chad and i have been lucky enough to be high school sweethearts. we found each other early on in life and have stuck together since! though we didn't really know what "being in a relationship" entitled. we have made it through the awkward stages, finished college, and tied the knot! 2. we used to match our clothes,yep. in highschool. stripes some days. some days we wore super hero shirts. we were that cool! 3. picture at my parents house. in high school we hung out there almost every single day. looking back i cannot believe we did that. but we did! 4. this is when we started college. wow time goes by so fast! 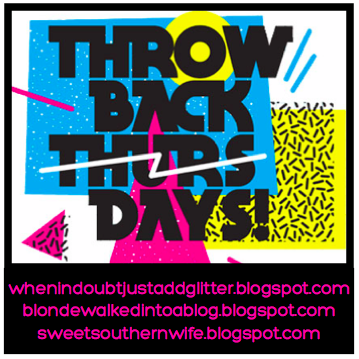 linking up for throw back thursday! This is adorable. 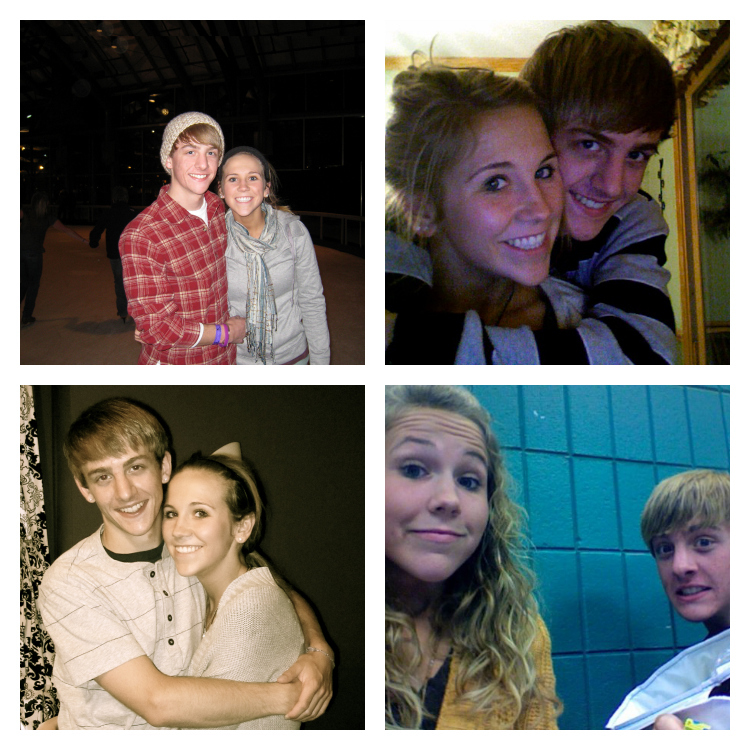 (: It's always sweet to find people who found each other early on and have been with each other ever since. I always think its amazing when I hear about high school sweethearts! I am so glad I'm not still with my high school boyfriend- but thrilled that you are! What a blessing! That is so adorable that you were high school sweethearts! I am always trying to get my boyfriend to match but he never goes for. Could partially be because we're now 24 years old haha! Okay, you two are super super cuuuute!! I love that you found each other so early in life- that is incredibly special :) thanks for linking up! So cute- this will be the coolest thing ever for your kids to look at someday! You guys were (and still are) so cute! I love that you have been together for so long! I feel like that never happens anymore. Awwww this is too cute! My husband and I got together when I want 16 as well! So fun to look back. I think being high school sweethearts is one of the greatest blessings! My husband and I have been together since we were 17 and its incredible to see how we have grown and how far we have come since then. These pictures are adorable! I am always blown away by how similar you and chad are to me and my Chad!! highschool, ice skating, parents houses....we didn't do the matching clothes thing, but that is TOO cute! Chad looks so different without a stash!